Nakheel has entered into a new arrangement with leading financial institution, Mashreq to provide mortgages for investors purchasing homes at Jumeirah Park in Dubai. This new strategic alliance, which strengthens evidence of renewed confidence in Dubai’s real estate market, was cemented today (Tuesday) with the opening of a dedicated Mashreq kiosk at the Nakheel Sales Centre. Under the collaboration, the Bank aims to provide attractive and flexible home loans to new, off-plan buyers, and to people who have already purchased and are looking for finance to assist with agreed payment schedules on their property. Speaking at the opening today, Sanjay Manchanda, CEO of Nakheel, said: “This is a major step forward for Dubai’s property market, and is welcoming news for end-users. Our collaboration with Mashreq highlights the renewed buoyancy in Dubai’s property sector, and the increasing trust among banks and investors in Nakheel and its projects.” Farhad Irani, Head of Retail Banking Group, Mashreq, added: “Dubai’s real estate market has revived and revitalized with renewed vigour and is expected to grow further. We at Mashreq understand the flexibility that consumers desire with their home loan facility. It is a lucrative investment when a giant like Nakheel offers a project like Jumeirah Park that is in considerable demand. We endeavour to help as many consumers as possible to inch forward towards their dream home with custom made solutions, innovative features, fastest turnaround times, and a host of advantages to fulfil their needs. Jumeirah Park spans more than 380 hectares and, when complete, will have nearly 2,800 homes. The project includes 396 Legacy Nova Villas – snapped up within a few hours with an estimated sales value of AED1.65 billion – when they were launched in June this year. 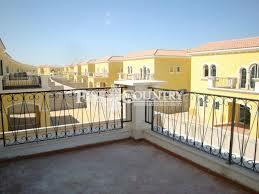 So far, 1,780 homes have been handed over at Jumeirah Park.